This is another PI image that I stamped and colored a longtime ago. I really love the Pure Innocent stamps. I found an adorable old messed up book about cats at a garage sale. One of the pages said "Because they're cute as buttons." 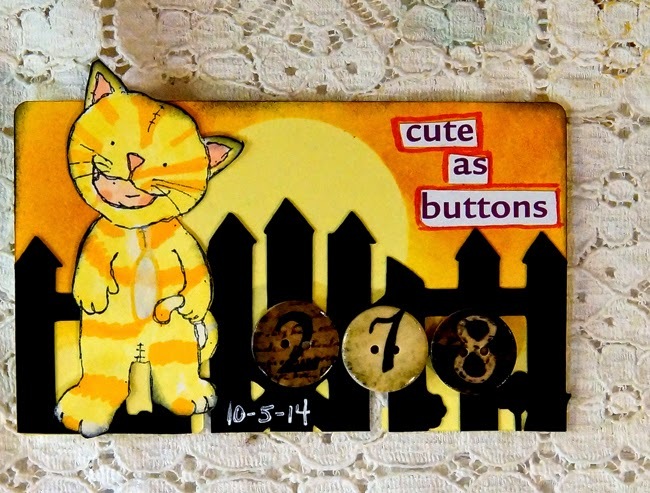 I used the cute as buttons for my sentiment. The "Because they'er" I saved for another card. I hope you are enjoying you day! LOL love this - cute little cat!!! Well you know I love anything with kitties. Adorable as can be.